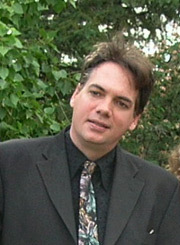 Robert ( Rob ) McKenna, M.O.L. : Spokane & Coeur d'alene Business Consultant in Management, Marketing and Business & Technical Training Services. Rob McKenna has facilitated numerous advertising, marketing and business consulting projects in various industries; education, medical, tourism, real estate, defense, manufacturing, advertising, and entertainment. Rob McKenna specializes in business consulting as well as coporate media development in video, photography, print, web, new media promotions, recording, search engine optimization and advertising consulting. Moreover, the McKenna Agency specializes in cost-effective marketing solutions and high-end media advertising campaigns. Imagery by Northwest Photo and Video; a division of The McKenna Agency LLC , and a member of The Northwest Business Alliance and the The Best of Your Community. © 2014 The McKenna Agency, LLC. All Rights Reserved.